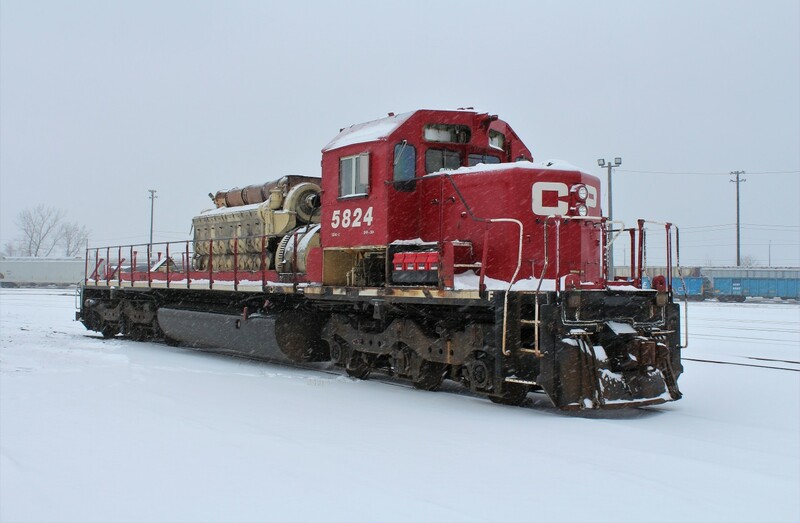 Railpictures.ca - Paul Santos Photo: Delivered to CP in 1974 SD40-2 5824 is in the process of being dismantled on this blustery day. | Railpictures.ca – Canadian Railway Photography – photographie ferroviaire Canadienne. Caption: Delivered to CP in 1974 SD40-2 5824 is in the process of being dismantled on this blustery day. I’m going to say icing sugar. Lol. Another good shot. These should be assembled as a series to explain the scrapping process. What is all that white stuff on the ground? Boiler asbestos?